I have been loving the various looks JLo was sporting in her latest video ‘Live it up’ featuring pitbull and since I’m on a roll lately doing more celebrity inspired looks and all that I really wanted to get this look out to you guys. I feel like it similar to the look selena Gomez had on for her ‘come and get it’ music video but defiantly this is unique in its own shades. So JLo has so many lovely look in this video including a beach glowy look, neutral look and this on which I thing is the most glamorous and the one in recreating is the one she appears first in which is the black gown with the funky feathers :) let’s get started with the tutorial! Step 1 cancel out any pigmentation on your lid and apply a primer evenly. Using a dark brown matte shadow, apply it on the crease and blend it out really well using a fluffy lending brush this is going to be our transition colour. Step 4 now this step is to blend everything you will need to spend some time blending here as we are blending the kohl with the transition shade. Step 5 using a crease brush; apply a matte black shade on the outer part. In the look, JLo seems as her eyes are darker in the crease and lighter on the lid area. 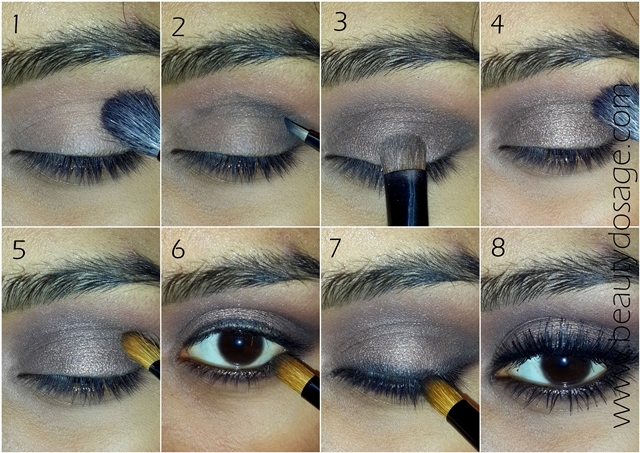 Step 6 line your upper and lower lash line with the black kohl and smoke it out with the matte black shade. Step 7 smoke the upper lash line with the same black. Step 8 apply your dense falsies and finish off with mascara to the top and bottom lashes. This makeup is amazing! I absolutely love how you re-created it! Thanks so much for sharing this - can't wait to try it! Loved the look Jeeshan. It looks glam n chic.